After a recruitment panel undertaken at Nottingham University, Supt. Dave Hill has been appointed to the role of EMPAC Programme Manager. This important role is responsible for maintaining communication between the networks and the Strategic Governance Group and Board of Governors. As Programme Manager, Dave will also coordinate EMPAC’s strategy and oversee the progress of projects from each research network. Dave brings expertise and experience from over 25 years service in the Police Force. 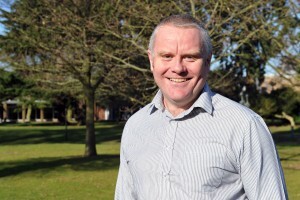 Dave is a Superintendent for Northamptonshire Police and has delivered specialist training in advance communication, decision making, professional diversity, problem solving, negotiation, NLP, emotional intelligence and systems thinking.